Welcome to this 3BR/2BA home. Enjoy the vaulted ceiling living rm w/ gas log fireplace, Lg master w/ vaulted ceilings w/ walk in closet & master bath w/ dbl vanity, kitchen w/ all stainless steel appliances. Fridge, freezer, generator, riding JohnDeer mower, lawn eqmnt, washer and dryer included w/ home!! Finished unpermitted den and mudroom, lg laundry rm w/ great storage. Enjoy the covered back deck and private yard! Detached 2 car garage. 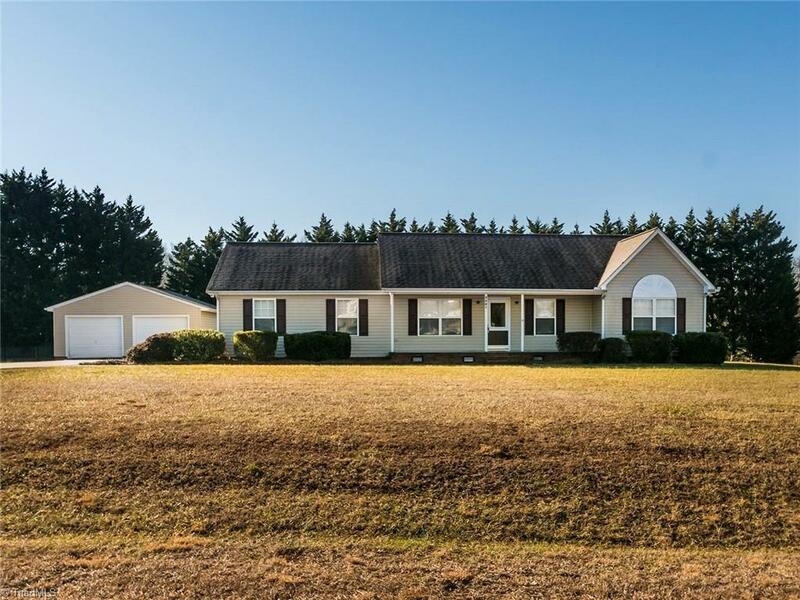 Sits on corner lot on over an acre of land. Lg dog run.